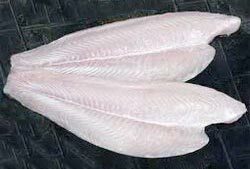 We are a reliable Supplier of Frozen Basa Fish in Bangalore, Karnataka. Our Basa Fish is known for its rich taste and versatile nature. It is widely used to prepare variety of recipes in USA, Australia, New Zealand and in other parts of world. We make available Basa Fish in different quantities to meet the diverse demands of buyers. Our Frozen Basa Fish is available at affordable price.